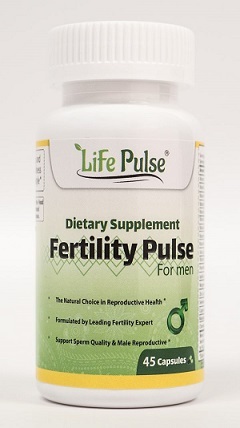 ****BUY 2 WILL INCLUDE 1 FREE WITH ORDER ****Description: Fertility Pulse for Men, formulated by leading fertility experts to help optimize male reproductive health, increase sperm count, and improve both sperm quality and motility, is formulated on the basis of established scientific literature to enhance male fertility safely and naturally as part of a healthy lifestyle. With an effective formula that includes the amino acid L-Carnitine, key antioxidants, and essential vitamins and minerals its provides critical nutrients to enhance male fertility. 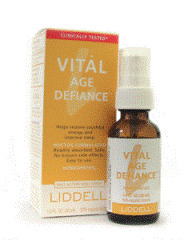 Ingredients: Vitamin A 750 mcg, Vitamin C 250 mcg, Vitamin D 10 mcg, Vitamin E 68 mg, Vitamin K 80 mcg, Vitamin B-1 1.5 mg, Vitamin B-2 1.7 mg, Vitamin B-3 20 mg, Vitamin B-6 2mg, Folic Acid 850 mcg, Vitamin B-12 25 mcg, Pantothenic Acid 10 mg, Iodine (Kelp) 150 mg, Magnesium 120 mg, Zinc 30 mg, Selenium 100 mcg, Copper 2 mg, Manganese 2 mg, Chromium 120 mcg, Proprietary Blend (L-Carnitine, Maca Root Powder, Grape Seed Extract 4:1, Korean Ginseng Extract, Co-Enzyme Q10) 890 mg.
Other Ingredients: Rice Flour, Microcrystalline Cellulose, Talc Powder, Vegetable Cellulose.